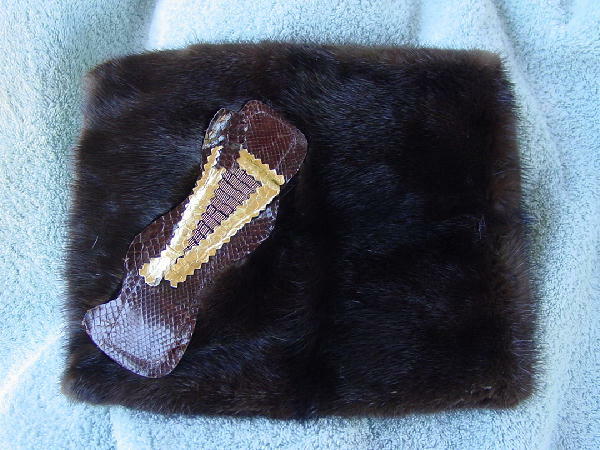 This vintage dark brown mink custom-made clutch has a freeform design in chocolate brown snakeskin, bronze beads and gold lame accents. 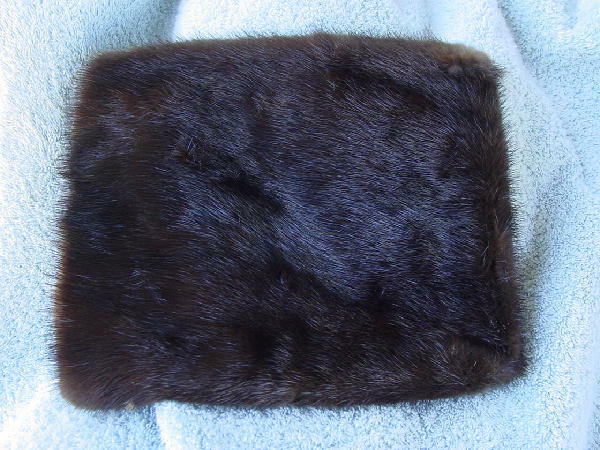 It has an iridescent brown lining and a top 8" long side to side zipper. The fur is nice and thick and soft. You can wear it from day into evening. A model also wore it to the Tony Awards ceremony (she borrowed it from the stylist).